Ahead of the launch of Windows 10 later this month, Microsoft and Acer have teased a new laptop in the form of the Acer Aspire One Cloudbook which is expected to launch very soon priced at $169. The laptop is will probably be made available during August after the launch of Windows 10, and is equipped with an 11.6 inch display and as you might have guessed comes pre-installed with Microsoft’s latest Windows 10 operating system. 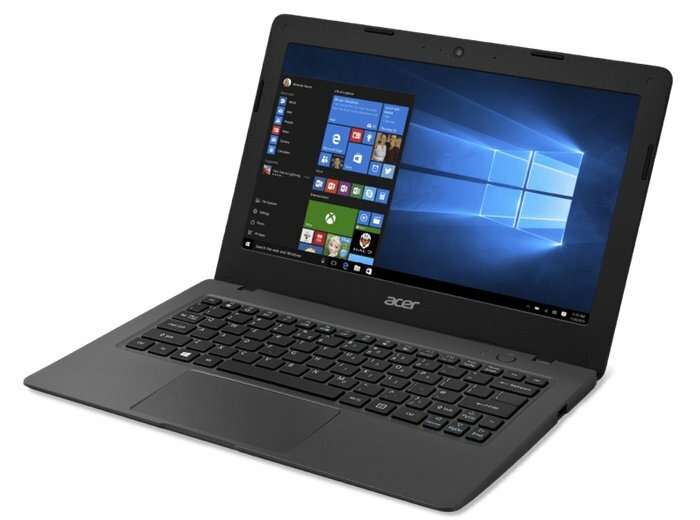 Unfortunately no hardware specifications have been unveiled as yet by Acer, for their new low cost laptop. But you can expect more to be made available in the run-up and after the launch of the new Windows 10 operating system. As soon as any more information becomes available we will keep you updated as always. Earlier today Microsoft announced more features that you can expect to enjoy when Windows 10 launches via your Xbox One games console. As well as making available the ability to stream games directly from your Xbox one to your Windows 10 PC. Over the coming weeks expect plenty more Windows 10 systems to be unveiled and teased ahead of the highly anticipated launch of Microsoft’s new operating system that is currently available as a preview to download.